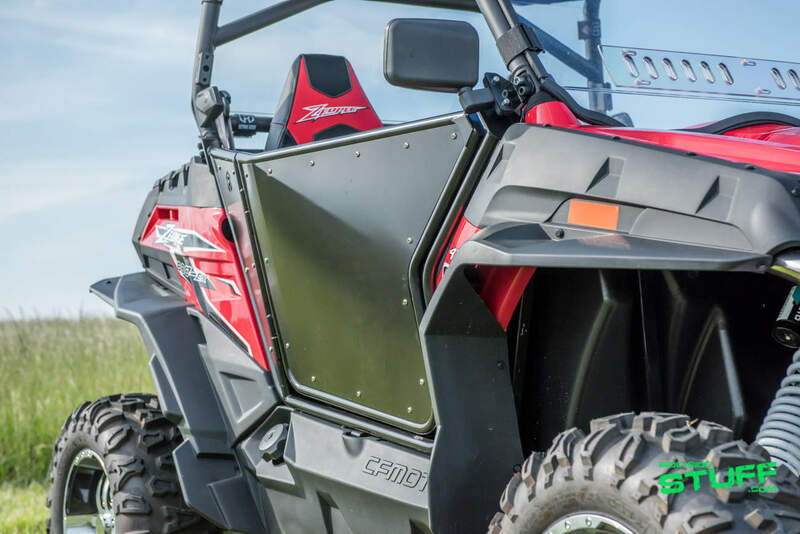 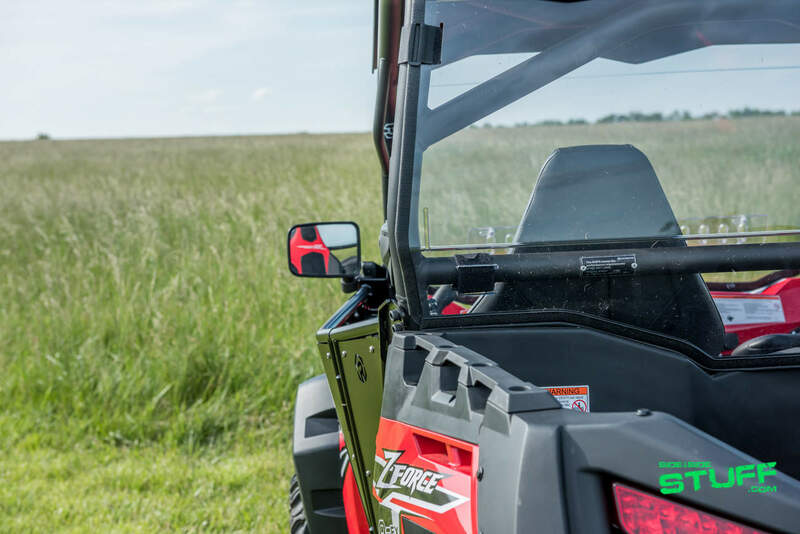 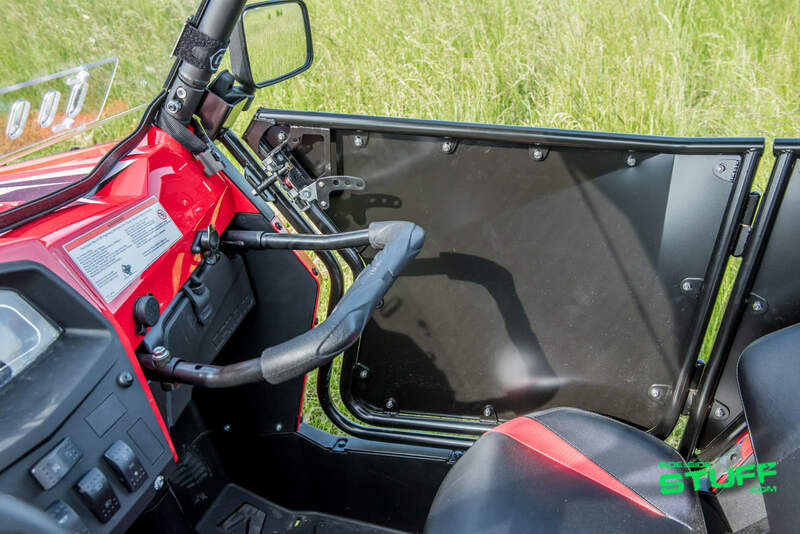 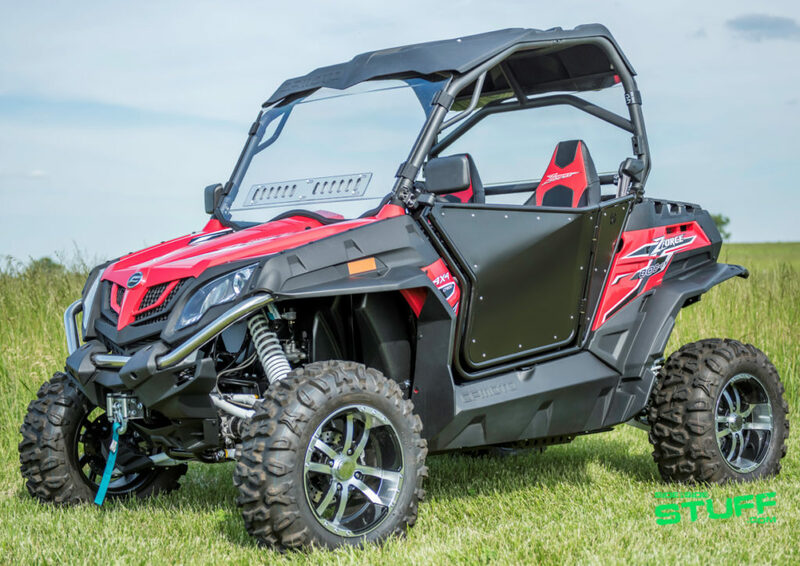 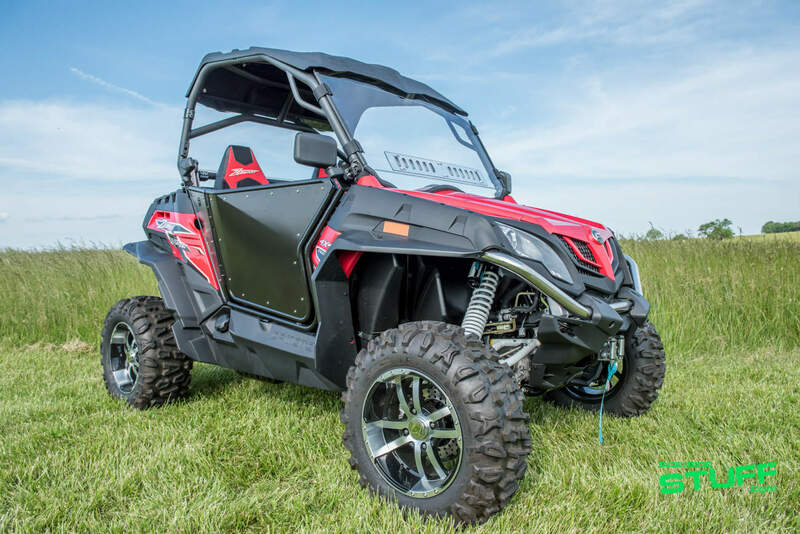 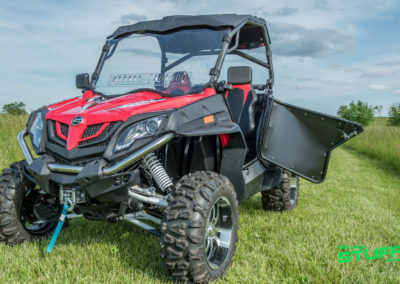 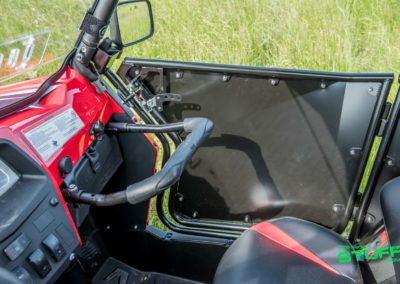 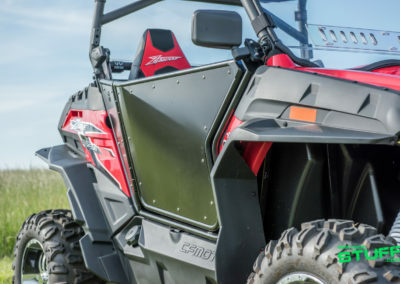 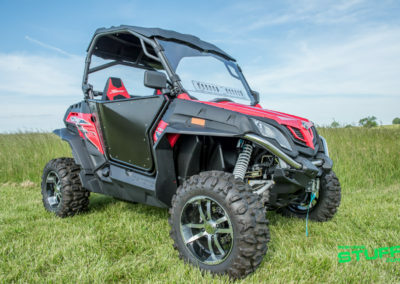 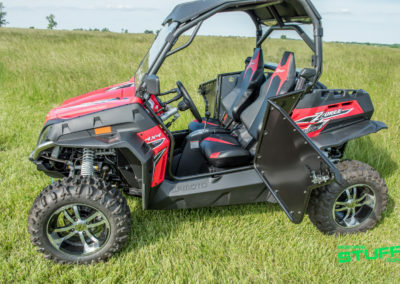 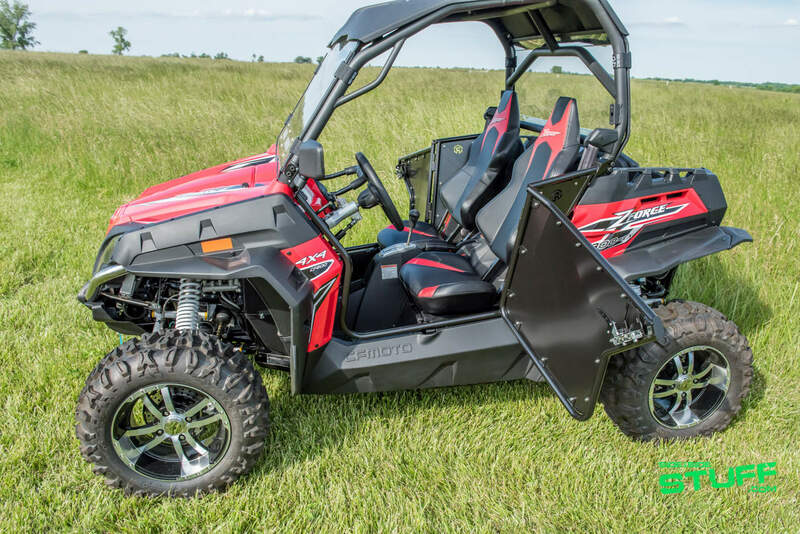 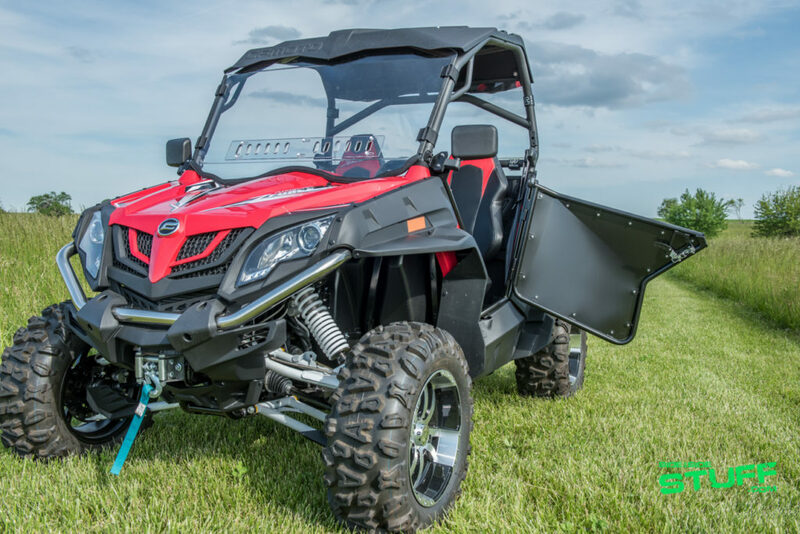 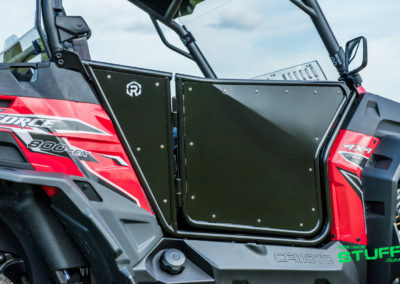 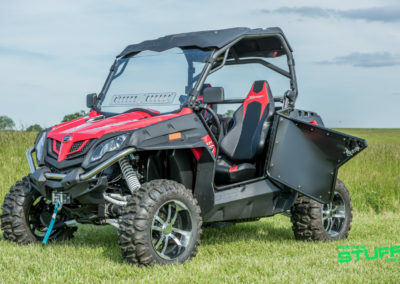 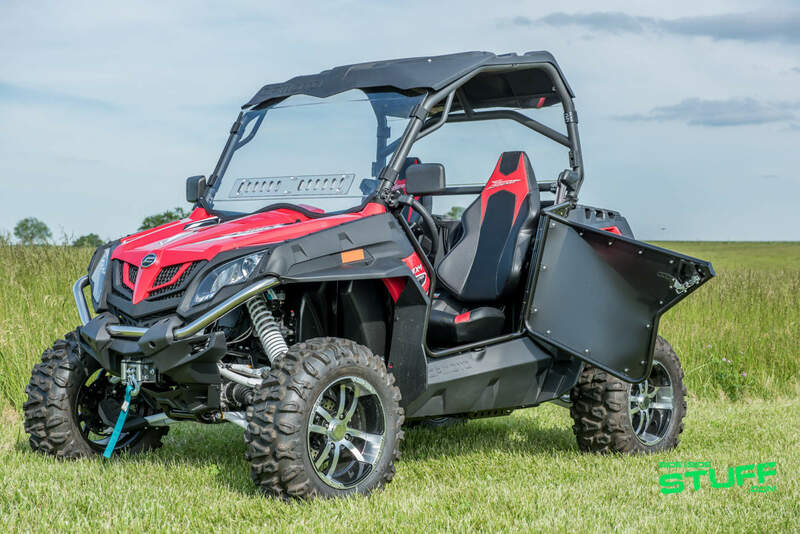 It’s no secret that the CFMOTO ZForce is one cool side by side; out of the gate the UTV comes standard with cool features like a roof, a winch and a 2” hitch receiver. 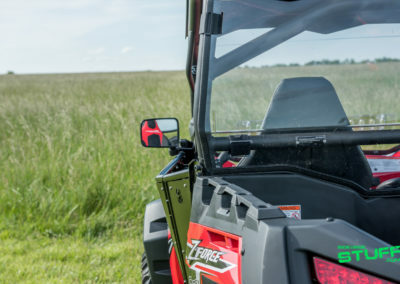 Coming standard with these offroad necessities is great because owners can start accessorizing their machines with the aftermarket parts they want right away, however we’ve heard from many of them that they often have a hard time finding ZForce aftermarket accessories; especially doors. 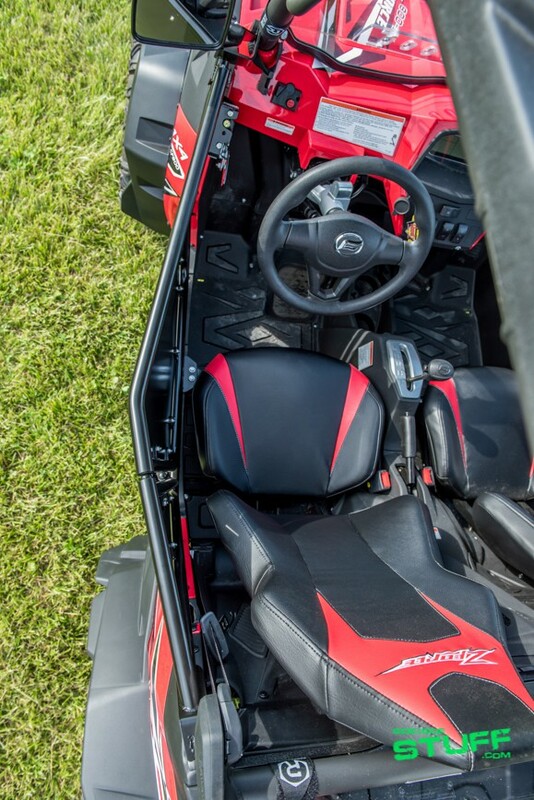 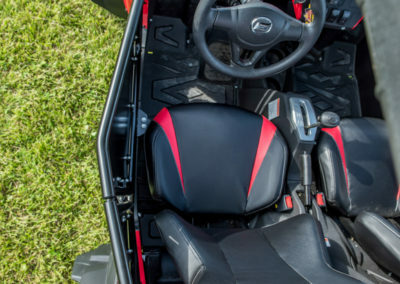 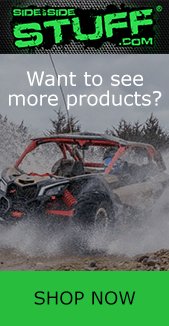 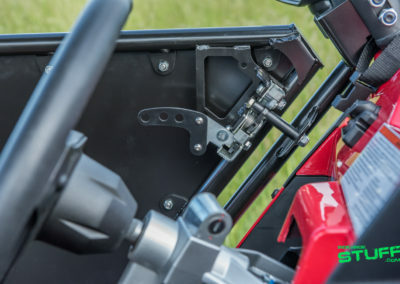 Missouri company, Octane Ridge answers consumer demands with Octane Ridge Alpha Doors for CF Moto Z Force side x sides. 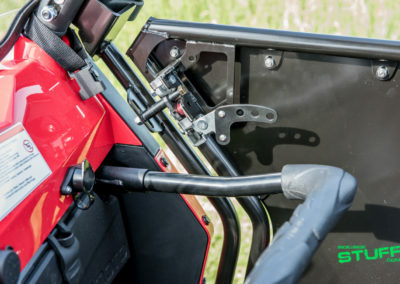 The bolt on UTV doors are easy to install, high in quality and made proudly in the USA. 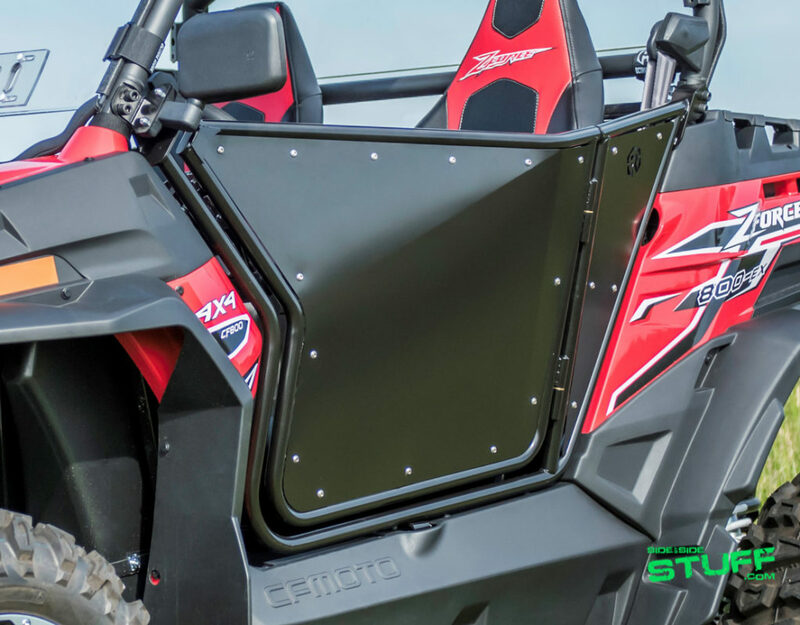 Laser cut, machine bent and hand-welded, the frame is constructed with 11-gauge tubular steel, the skins made with 20-gauge sheet steel with Octane Ridge icon laser cut in rear and the door brackets made with 10-gauge steel; all of which are powder coated black for durability and a sleek look. 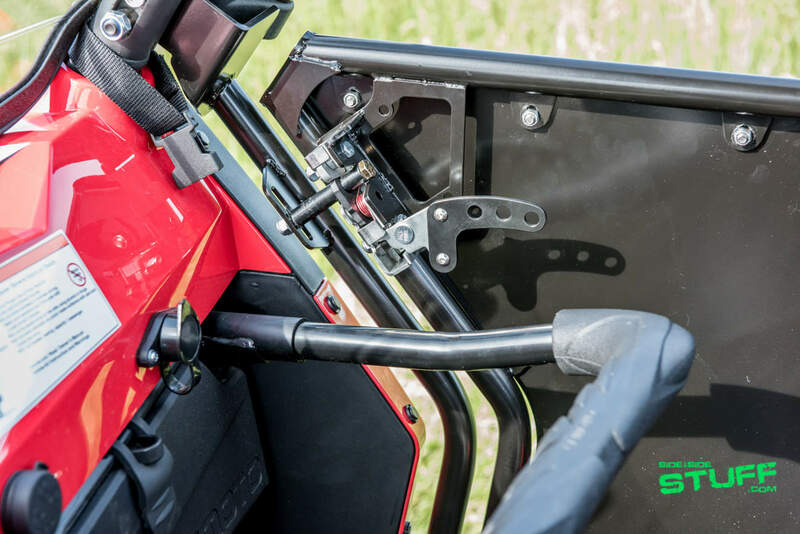 These doors mount right to the roll cage and stock locations and are even designed with an angled frame for extra arm room. 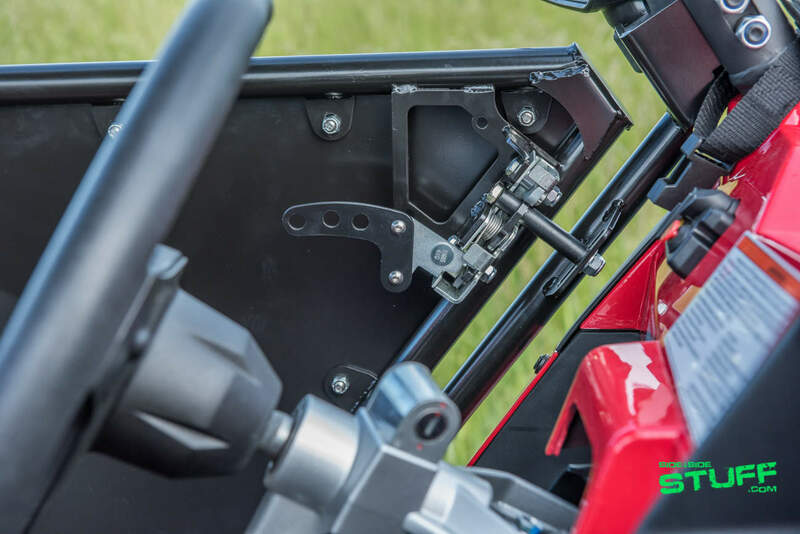 Alpha Doors also include automotive grade slam latches for secure closure and all the necessary hardware and instructions for the install. 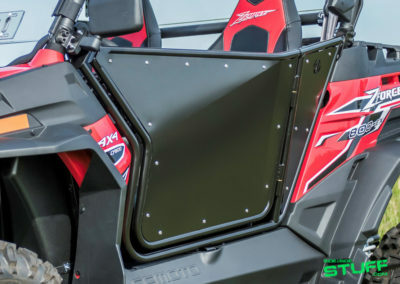 The original Alpha Doors made by Octane Ridge have been discontinued and replaced by the Alpha 2.0 Doors made by Dirt Specialties, click here to view the product.